Oranges come in many forms from Jaffa oranges to blood oranges and all of them are healthy delicious treats. Oranges originated thousands of years ago in Asia, in the region from southern China to Indonesia from which they spread to India. Sweet oranges were introduced into Europe around the 15th century by various groups including the Moors, and the Portuguese as well as the Italian traders and explorers who found them on their voyages to Asia and the Middle East. Oranges are a great source of Vitamin including vitamin C B1, pantothenic acid, and folate as well as vitamin A, calcium, copper and potassium full of other antioxidants that are good for you. Most citrus fruits have a good deal of vitamin C, and oranges have high levels even compared to their tangy brethren. Not only oranges help reduce the risk of chronic conditions, but they may also boost a person’s immunity when dealing with everyday viruses and infections like the common cold etc. Oranges are a very good source of soluble and insoluble fiber, which helps keep your stomach and intestines healthy by preventing problems like irritable bowel syndrome. The fiber content in them adds bulk to the digested food and reduces the transit time of feces, preventing constipation and straining. 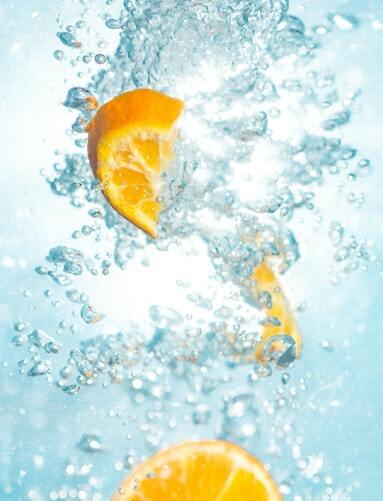 Vitamin C also helps keep skin looking beautiful by helping fight against skin damage caused by the sun and pollution. It is vital to collagen production and may help reduce wrinkles and improve the skin’s overall texture. There’s a reason why oranges are popularly used in the beauty industry. Beauty products including face packs, masks, serums, and creams that are available contain orange extract as a key ingredient. That’s because vitamin C present in oranges also helps prevent skin damage by eliminating free radicals. All the fiber in oranges may help lower cholesterol levels because it picks up excess cholesterol compounds in the gut and pushes them out in the elimination process. Oranges contain vitamin C, fiber, potassium and choline, which are all good for your heart. People who consumed 4,069 mg of potassium each day had a 49 percent lower risk of death from heart disease compared with those who consumed only about 1,000 mg of potassium per day. The potassium found in oranges helps to lower blood pressure, protecting against stroke. Oranges are high in fiber, which can help lower blood sugar levels in people with type 1 diabetes and improve blood sugar, lipids and insulin levels in people with type 2 diabetes. Folate/folic acid or vitamin B9 present in oranges promote brain development and keep the vital organ in mint condition. These nutrients also make orange a healthy fruit for pregnant woman as it prevents the baby from having neurological disorders later. Oranges also contain phytonutrients called polyphenols that play a role in the development of learning and memory functions of the brain. Oranges are high in fiber, which aids in digestion by keeping you regular and help you to lose weight. Oranges are a low-fat, nutrient-rich food with a low glycemic index. The glycemic index is a measure of how food affects a person’s blood sugar levels. Foods with a high glycemic index such as white bread cause glucose levels to spike quickly after they are eaten, while foods with a low glycemic index such as vegetables and legumes cause blood sugar levels to rise more slowly and remain more constant over time. If you want to reduce your risk of kidney stones? 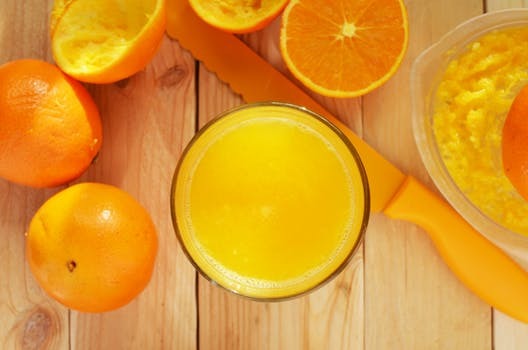 Drink orange juice. A study published in the British Journal of Nutrition found that when women drank 1/2 to 1 liter of orange, grapefruit or apple juice daily, their urinary pH value and citric acid excretion increased, significantly dropping their risk of forming calcium oxalate stones. Eating an orange or drinking a glass of orange juice each day may help prevent gastric ulcers. 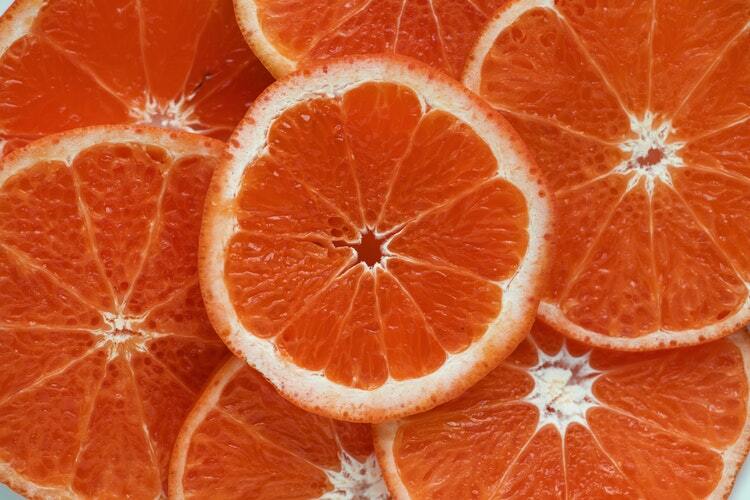 Oranges are vitamin A rich. Vitamin A also helps your eyes absorb light. Vitamin A in oranges helps keep mucous membranes in the eyes healthy. Available in the form of carotenoid compounds like lutein, beta-carotene, and zeaxanthin,vitamin A is protective against age-related macular degeneration, a vision-related condition that causes blindness. Orange blossoms has tranquilizing properties and it can help us sleep. If you want to relax and settle your mind a little after a stressful day, orange blossom tea might be just the product you need. It can help you to chill out and settle your nerves. Some of this anxiety could be due to being physically unwell. It could be due to digestive issues. If you are suffering from some of these issues, an orange blossom tea can help settle your stomach. This remedy can help calm you down and relieve some minor anxiety issues. It can also help reduce nausea and vomiting which can be adding to your feelings of anxiety. Oranges are great for you if you enjoy them in moderation, Eating too many oranges has some uncomfortable side effects. When eaten in excess, the greater fiber content can affect digestion, causing abdominal cramps. An excess of this nutrient may lead to diarrhea, nausea, vomiting, heartburn, bloating or cramps, headaches, insomnia. Oranges are a high-acid food they can contribute to heartburn, especially for those who already suffer from heartburn, acid reflux..disease may experience heartburn or regurgitation if they eat too many oranges. People who are taking beta-blockers should be careful not to consume too many oranges. These medicines increase potassium levels and, if mixed with too many potassium-rich foods like oranges and bananas, can lead to an excess of potassium in the body. This is a significant concern for people whose kidneys are not fully functional, as the additional potassium will not be effectively removed from the body. Oranges have been valued for their wholesome nutritious and antioxidant properties. It is a scientifically established fact that citrus fruits especially oranges by their abundance of vitamins, antioxidants, and minerals can benefit in many ways.